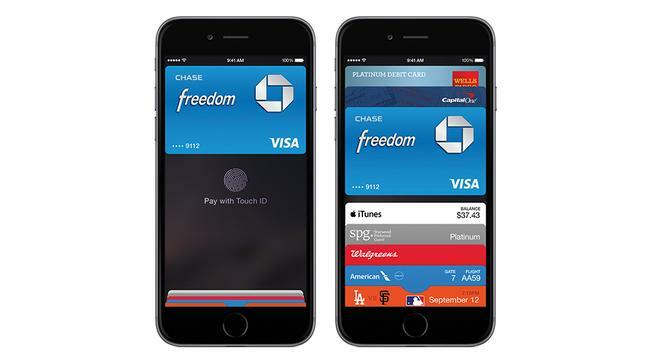 This week, Apple introduced its mobile payment system -- known simply as Apple Pay. On the face of it, Apple Pay doesn't seem all that different than other mobile and contactless payment systems that are based around NFC. It's very easy to see Apple Pay as a let to the party variation of Google Wallet, which never made much of a dent in the U.S. payments industry. However, Apple has brought some significant things to the mobile payments industry that haven't been present in a fully integrated way. As is its character, Apple waited till it had developed and tested the technologies involved in Apple Pay, gauged user response to pieces of those technologies, and ensured that it had serious commitment from the partners that it needs to make the initiative a success including the top three payment processors -- Visa, MasterCard, and American Express -- and major institutions offering credit and/or debit cards as well as major retail chains. Apple had been rumored to be exploring mobile payments for years. The introduction of Passbook in iOS 6 two years ago was the first real sign that there might be some truth to those rumors. Passbook didn't go as far as allowing users to store their credit cards in their iPhones, but it did allow them to store gift cards, loyalty cards, event tickets, and even airline boarding passes. Each app or pass (stand-alone passes not associated with an app can be created) can be time and date-enabled or location-enabled so that it appears automatically on the iOS homescreen when a user is at a particular store, venue, or airport. The Passbook user interface actually looks very much like a virtual wallet and the demoed Apple Pay interface. Touch ID was also presumed from its inception to be aimed at enabling secure mobile payments. The system, introduced last year with Apple's A7 chip and the iPhone 5S, is made up of two hardware components -- the fingerprint scanner built into the iPhone home button and the Secure Enclave, a section of the A7 chip that is used for advanced cryptography algorithms and for storing specific data points like data about a user's fingerprints in a highly secure fashion. The Secure Enclave is separate from the rest of the A7 components and has a unique identifier burned into it in the manufacturing process that even Apple doesn't know. The result is a highly secure system. According to Apple, the A8 processor powering the iPhone 6 and 6 Plus will use a Secure Element to store Touch ID and credit/debit card information. It isn't certain if the Secure Element is simply a new name for the Secure Enclave or if includes new functionality. When a user adds a card to Apple Pay, Apple will verify the identity with the bank or institution that issued the card and a unique Device Account Number will be assigned to Apple Pay and stored in the Secure Element. During each transaction, a one-time-use unique number will be generated based on the Device Account Number along with a dynamic security code. Once the transaction is completed, the number will no longer be usable, meaning that even if a POS system is compromised, any data stolen will be useless for future transactions. A lost or stolen device can be blocked from future transactions using Find My iPhone without requiring a user to be issued new cards or card numbers. Apple didn't provide details about how this will work, but it will likely be a one-way command, like a remote wipe command. Apple has also experimented with location-based mobile payments that do not rely on NFC. The company's Apple Store app allows users to make in-store purchases for accessories from the app based on their Apple ID without interacting with store employees. Square and PayPal have experimented with similar systems, as has the bar- and restaurant-specific companyTabbedOut, and some individual businesses. None has achieved particularly broad market penetration. This may one reason that Apple decided to ultimately use NFC as part of Apple Pay. Also, access to existing contactless payment systems and POS devices that are already widely deployed means that Apple Pay can be used in a broad range of existing retail establishments at launch. While Apple does bring some technology to the mobile payments industry that will help it gain traction, perhaps the biggest thing it brings is its name and ability to wrangle the disparate groups of partners needed to make the venture a success. With a very large pile of cash on hand, over half a billion Apple accounts already linked to a credit or debit card to make purchases in its electronic stores, and its brand identity, the company is a negotiating powerhouse. It was able to land the deals needed to have broad acceptance of Apple Pay right out of the gate. What's remarkable about this is that Apple was able to gain such acceptance when even groups like Softcard that are made up of major players in the payments industry have failed. Also impressive, the company was reportedly was to get lower than typical fees from each of the payment processors. One drawback to Apple's ambitions with Apple Pay is that it will work only on the forthcoming iPhone 6 and 6 Plus. Although there is strong interest in both devices, that will be a fraction of Apple's iPhone user base. This limited support comes because Apple is relying on NFC, a technology never implemented in an earlier iOS device, and the Secure Element of the A8 chip. Although Apple Pay will be broadly available at launch, it's likely to be at least a couple of years before it becomes a truly common or mainstream payment option. Apple will also allow the Apple Watch, due out early next year, to be used as an Apple Pay device. Apple has confirmed that the Watch wearer won't need a phone to be present to use Apple Pay, and will have to authenticate the device using a passcode, but otherwise provided little detail on how the two new products will work together. Apple Pay's influence is likely to go beyond Apple devices. Since Apple is making use of existing POS technology for contactless payments, it's probable that other mobile systems may see a boost as well. There's no real reason that these terminals would function only with Apple Pay. Indeed some retail chains had originally deployed them for competing payment systems like Google Pay. The result of Apple's entrance into the market could be that mobile payments in general will see a rise in popularity. Apple still does have a couple of potential mind share advantages, however. It has a big customer base -- the iPhone represents more than 40% of U.S. smartphones. Its customers are generally already comfortable letting Apple handle some measure of transactions. Its business model places the end user as its primary customer, giving it a big advantage in customer data privacy -- as with HealthKit and HomeKit, it has no need or desire to see, mine, or sell its users' information most of its competitors. Apple even highlighted this during its event along with the fact that a cashier will never see any personal information during an Apple Pay transaction. It's far too early to draw any real conclusions about Apple Pay's success or influence, but I'm cautiously optimistic about it as well as its potential to enlarge the industry and potentially push everyone in the payments industry in the direction of more secure yet still convenient payment systems.